Highland Community Hospital, a 95-bed, full-service facility serves as Pearl River County’s only acute-care medical facility. 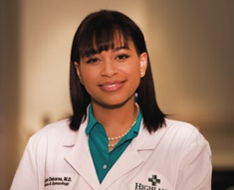 Highland provides a wide range of medical specialties and state-of-the-art technology to our community. Since 1954, Highland has been dedicated to the provision of quality health care through its strong commitment to excellence and high standards. The philosophy of Highland is to provide each patient with personalized attention aimed at meeting his or her specific needs.